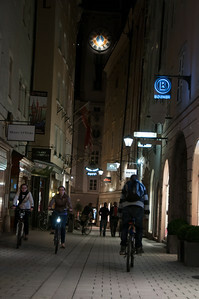 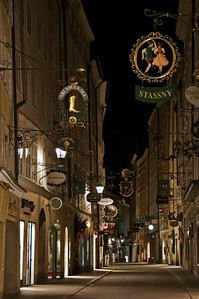 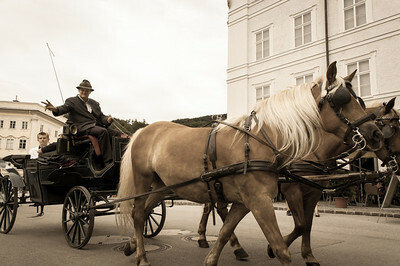 Here we are in Salzburg, Austria -- the birthplace of Mozart. 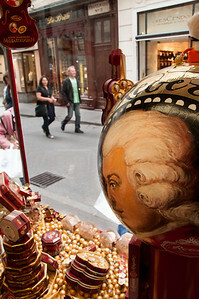 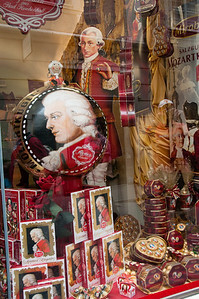 You see Mozart (and he sees you). 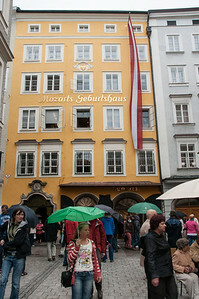 Mozart was born in this house in 1756, and lived here for 17 years. 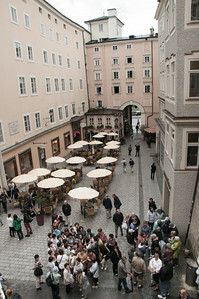 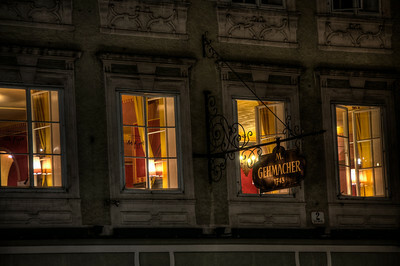 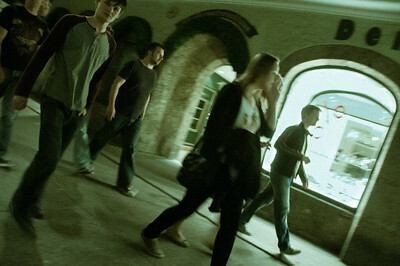 The view from inside Mozart's Geburtshaus (birth house). 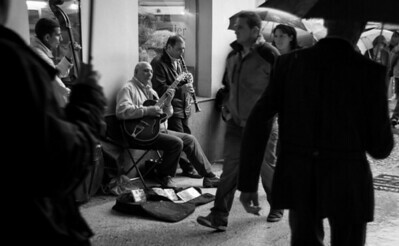 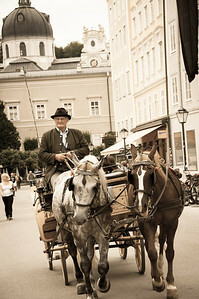 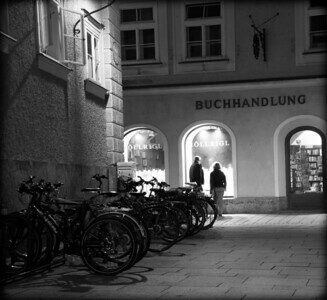 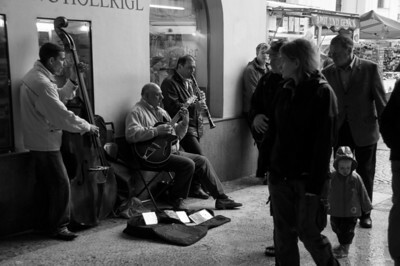 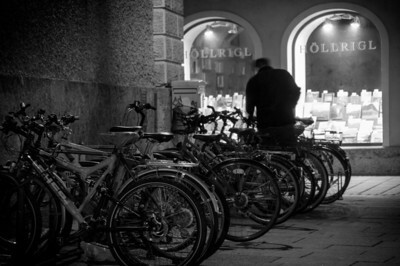 Street musicians in Salzburg are really talented. 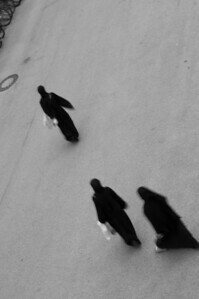 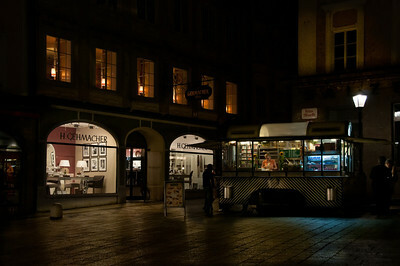 See those umbrellas? 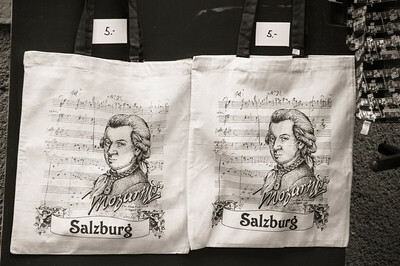 You need 'em. 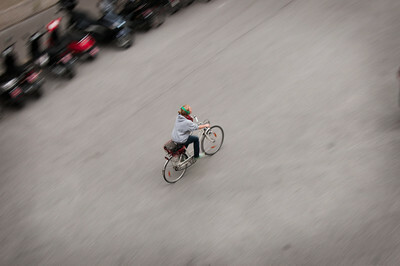 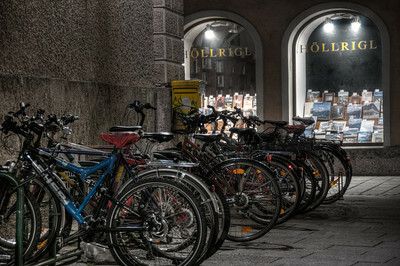 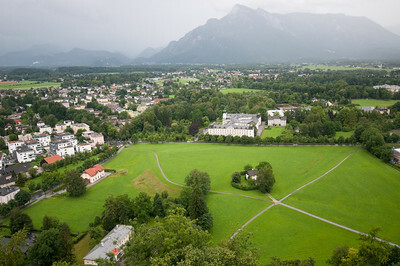 It rains a LOT in Salzburg. 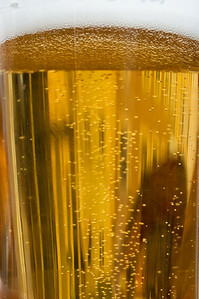 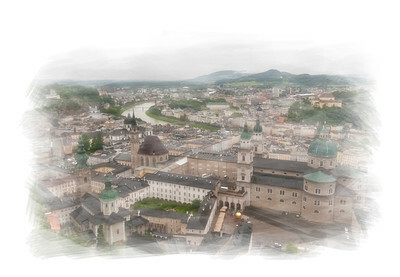 Salzburg, as seen through a glass of Pilsner. 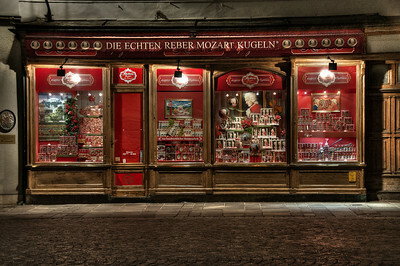 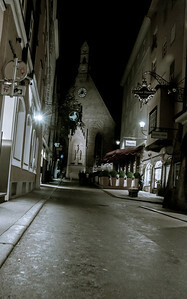 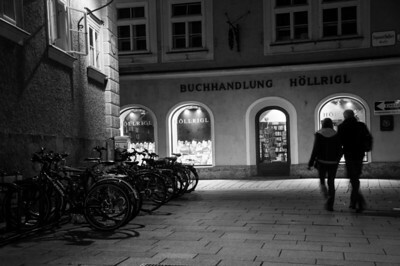 Late night crowd searching for Mozart. 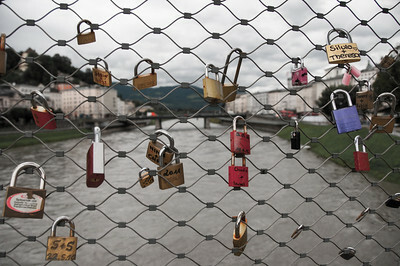 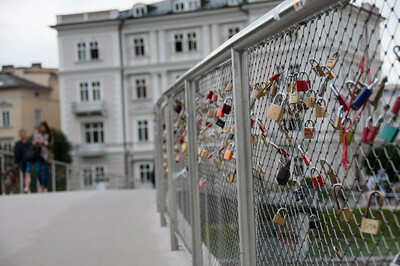 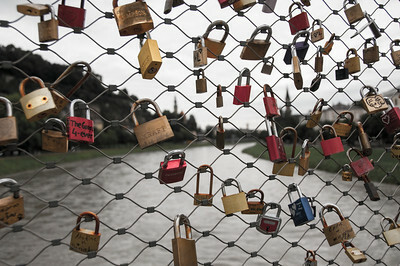 "Lovers Locks" on the Makartsteg Bridge. 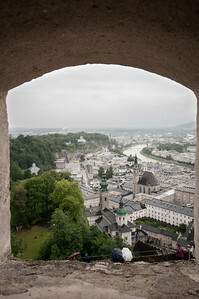 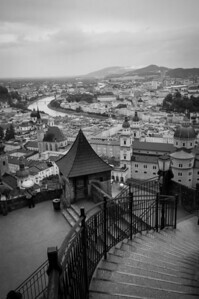 View from the Hohensalzburg Fortress.